This weekend was a whirlwind. I got home in the early evening on Sunday from weekend travel. Monday was a weird day and I was in a funk by the evening and not in the mood to write this. I do always have fun writing though, so I altered the publication date with plans to work on this today instead of pressuring my blank mind to do it last night. I’m still not out of the fog, I thought I was getting out of this totally, but feelings come in waves and I can’t apologize because I’m only human. Before we dive in to all that we did ( a lot) please know that we took Ubers nearly every where. 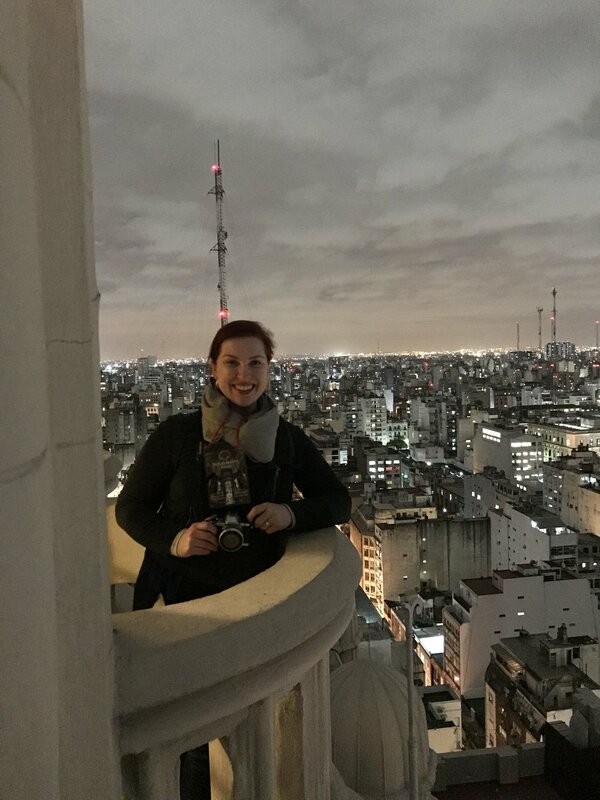 Buenos Aires is large and sprawling and I might write a post on neighborhoods to give you a lay of the land with points of interest on it. Uber is really easy to use here and the drivers are friendly and helpful, as were most Argentinians. MALBA - We did go to the contemporary art museum! It was great, it had one large exhibit going on plus some smaller exhibits being set up. I really liked the female photographer, Cindy Sherman, who they were showcasing, Richard Sherman, not so much. The space of this museum was sleek and contemporary and filled with natural light in its main spaces, I loved that. The gift shop was also really great and we went kind of nuts with leather goods here. Recommended and pictured below. Museo Nacional de Bellas Artes- (Fine arts museum) This is your standard fine arts museum, national art, famous international artists, it was fine, nothing special. I feel bad saying that but maybe I’d reached my fill of art at this point in the trip. Nothing memorable stands out. Skip or go if it is raining or cold and you want to be inside. Have I ever said that? I don’t think so. La Casa Rosada - A government building open to the public, available by scheduled tour only, and there is strict security. They will check your passport about 8 times total, just warning. But, it is a functioning government building so it makes complete sense. I enjoyed our tour here, we saw the only (I think) painting of Eva Peron and Juan Peron where they’re smiling, we say government offices, courtyards, the balcony where the Peron’s gave their famous speech. The building overlooks a beautiful plaza and the biggest flag I’ve ever seen (Argentina’s, obviously). It was worth the time, the passport checking, and the effort to go here. It isn’t every day you are allowed access to such building. (no flash photog allowed, so I chose to not take any because I was also kind of lazy that day and the lighting inside was meh). San Telmo Market - I already mentioned this in the EAT post, but there are vendors who sell more than food. I bought a really nice angora poncho here and Lindsey and I spent a good bit of time in a small shop that sold candles, perfumes, and other home goods. I also really enjoyed digging through the stalls of antiques because I bought three cute lapel pins very cheaply, all vintage. Teatro Colon - Oohh, we were going to see a Brazilian opera here one night. But we were tired. We took photos of the building in the daylight and then headed back to the Park Hyatt BA for dinner and the pool and spa. I was grateful for a relaxing night. I’m sad we did not go to a show there because the interior looks beautiful in photos, but oh well. Next time! Now that I’ve typed this out, all that we did, no wonder we skipped the Opera one night, we were tired! We’d been traveling and going for two weeks and packed a lot of activities and sights into one city. I’m impressed, we did a good job. (Thanks Lindsey for being the social chair of our trips to my logistics chair). I really can’t say that you should skip any of these other than the Fine Arts museum. That said, maybe add an extra day in here, if you can. And I’ve got an idea for another post about visiting the busiest city of a trip last. 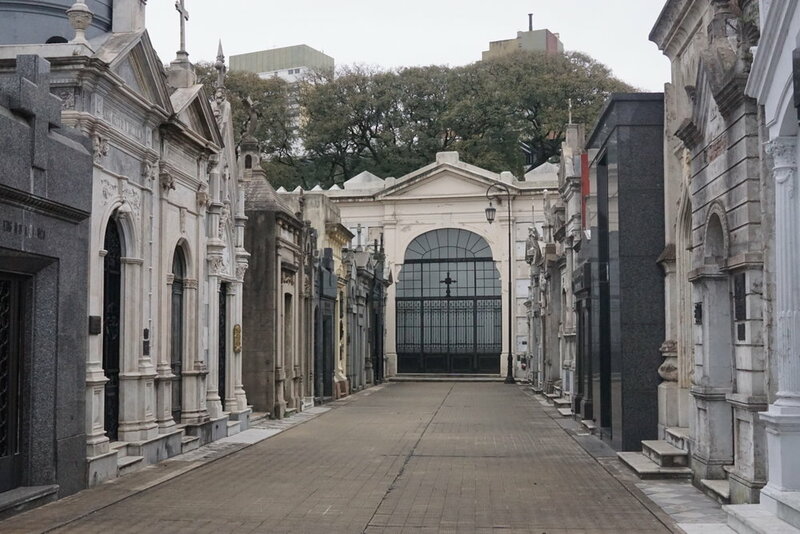 Me at the Recoleta cemetery, later, I’d need to buy tights because I was freezing. Palacio Barolo Balcony and me. The youth Olympic games were starting a week later so the city was getting ready. Since I am an Olympics nerd, (so is Linds) we had to pose with the rings.